Length: 1 hrs. 34 min. Do the programs crowding the typical church’s weekly schedule today lack an essential element, one that is fundamental to their having the greatest spiritual impact?This biblically grounded book asserts that many leaders overlook the necessary precondition of discerning and cooperating with the empowering will of the Holy Spirit before putting their plans into action. 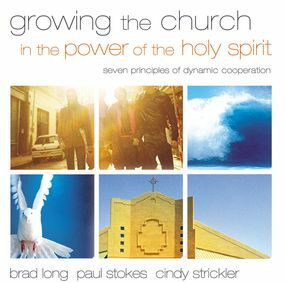 Growing the Church in the Power of the Holy Spirit is a highly practical guide for nurturing relations between believers and the Holy Spirit, a process facilitated by seven dynamics.• Love that draws us into engagement• Faith and obedience• Receiving divine guidance• Exercising spiritual discernment• Welcoming the gifts and manifestations of the Holy Spirit• Intercessory prayer that shapes the future• Seeing and responding to kairos momentsAdvanced by the church leadership and brought into being by the Holy Spirit, these factors help congregations preach and teach, worship, heal, govern, make disciples of converts, and evangelize. One of this book’s strengths is the use of case studies to illustrate how the seven dynamics can take root in local congregations.